When I first started adding affiliate marketing links to my site, I watched my numbers like a hawk. I could tell you every banner that was clicked through, how much money I had made that day, and how far I was from getting my first check. Of course, I was lucky if I was getting 1 sale a day and sometimes it took 3 months to hit a network minimum to get a payment! Since then I have become more lax about watching when the money comes in. Even if I track my earnings regularly, I don’t always check important things like when a merchant last paid the network, when a network last paid me, and if all of the checks I DID receive were correct. That’s a big mistake. If affiliate marketing is your business, you need to treat it like one and be sure that you are receiving every penny that is owed to you. Here are some ways that you can ensure that you get what you deserve. Every network does their payment system a little bit different. Some invoice merchants at the end of the month and give them X amount of time to pay, which means you get it Y amount of time later. 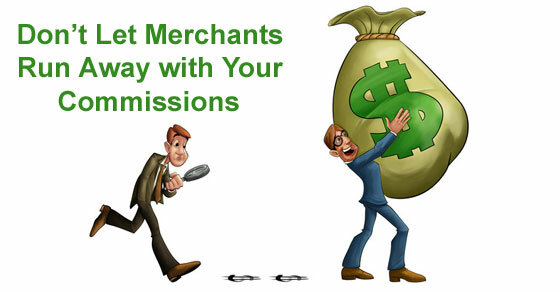 Other networks make the merchant put money into an account or put a credit card on file to cover the commissions at the time of the transaction. This is preferable! I understand that merchants want to pay later. But for many reasons this causes problems for affiliates. As an incentive site, it is hard for me to wait for 90 days to pay out my members when they make purchases. Even as a non-incent site, you may be putting out money in advance for traffic or advertising that is hard to wait 90 days to get back (especially if you are a new company). Even if you can afford to wait for the funds, you do not want to take the chance of getting burned by a company that goes out of business. We have seen numerous merchants file for bankruptcy. Affiliates become unsecured creditors under the Bankruptcy Code. This essentially means that we are about last on the list to see any money. Even if they end up paying pennies on the dollar to their creditors, the network will get their cut first. A lot of affiliates lost out when big brand names like Linen ‘n Things and Entertainment Book filed bankruptcy, and I am guessing that we won’t be seeing any money coming from Coldwater Creek for the sales we sent this month. You do not always have a choice as an affiliate, but if you do have the choice, go with a merchant on a network where the funds are guaranteed to get to the network. Even if the network holds them for 30 days, at least you know you are going to get paid. My personal favorite for this is ShareASale because they are very transparent about the process and let you know if a merchant’s funding dips. If you end up going with a merchant on a network that does not require pre-payment, be sure that you are watching to see when a particular merchant’s money is being added to your account. Most networks will have a place in their system where you can see what each payment you receive represents. Linkshare has an interesting report under “My Account” “Payment Info” “Advertiser Payments History.” You can see a chart of all of the merchants for which you have generated commissions and when they paid their invoices. Sometimes it can be a little bit alarming. For example, it is the end of May and 1800flowers has not yet paid its February invoice for some reason (although it paid March). Hmmm…flowers…February…I’m guessing they owe a lot of affiliates a lot of money? Impact Radius sends out an alert when a merchant owes you money and is behind in paying. At that point it is too late to do anything about the past money but at least you can decide it you want to continue promoting the merchant until they get caught up. Also be sure that the network itself is sending you money when it is supposed to. I realized one time that Google had been sitting on my payments for 3 months because I didn’t have something tax-related updated in my account! I know you receive 1000 newsletters a day, and many of us are guilty of not reading them all. But there are some that you NEED to be reading. Merchants are dropping commissions left and right. You may end up being lowered to 1% or even 0% in a program. Chances are good that the merchant isn’t going to call and leave a message on your home phone when they do it. Many of them are quietly slipping them by affiliates. I like to keep bookmarked the thread “The Ever-Decreasing Commission Rate Downward Spiral” on ABW. You won’t see everything posted but most of the time people do tend to post the really egregious ones. It’s an okay backup if you happen to miss an email. The more of us who contribute to the thread, the more useful it will be. As an affiliate, there is no one looking after your commissions except for you. You have to place a lot of trust in the networks with which you are working to make sure that they are looking out for your best interests, giving you the tools to watch your money, and creating some kind of accountability with the merchants. Have you ever found yourself missing a chunk of affiliate revenue? What caused it? Were you able to get it back? Great post. I try to read all of your post because everything you save is a great reminder or new information that is beneficial to all those in affiliate marketing. This post is right on. People shop around for the best cash back. Three time last month I had a member who has never done a transaction before complete one where the affiliate merchant lowered their commission and I did not catch it – one merchant from 12% to 6%. When there is listed cash back greater than what is offered shoppers seem to come out of the woodwork and benefit. Keep up you great post. Great post, I stopped watching my affiliate stuff closely cause I was getting checks but then I started to notice that some seemed really small and I went back through and realized some were taking commissions that I hadn’t realized. It’s definitely something to watch out for. Thanks for sharing. I’ve been hit pretty hard by some big merchants dropping commissions in the past couple years. There’s not much margin left in some cases!